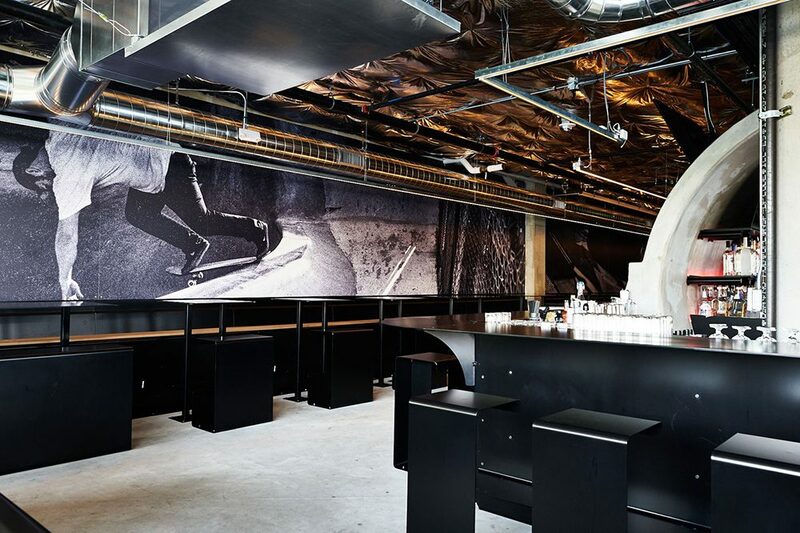 While it’s no Cat’s Paw Saloon, Tilt’s latest Portland location certainly has a connection to skateboarding. It sits directly next to Burnside, and has taken design cues from the iconic park. 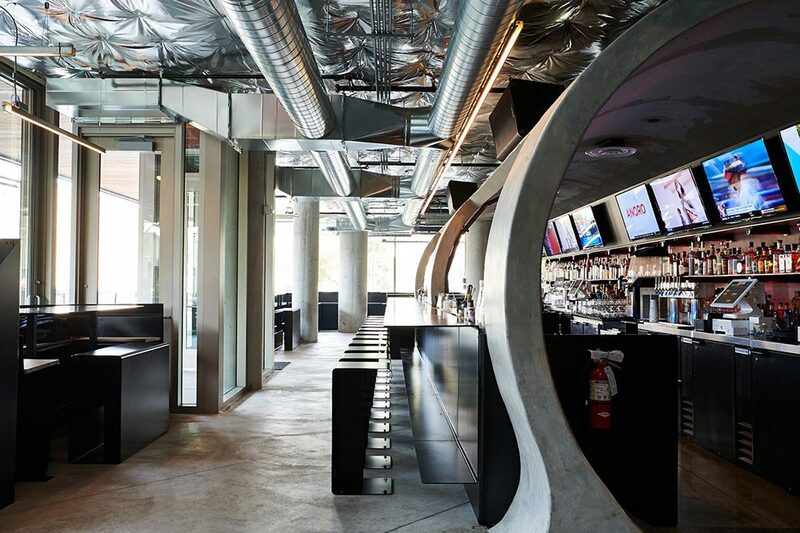 Imagined by Tilt co-owner Octavian Jurj with the help of Dreamland founder Mark Scott, Tilt’s East Burnside expansion contains a bar that sits squarely in the middle of a full pipe. It also features prominent skate photos throughout. While this chic industrial buildout may be a sign of neighborhood gentrification, at least they got it right in terms of paying homage to the cornerstone of the community. 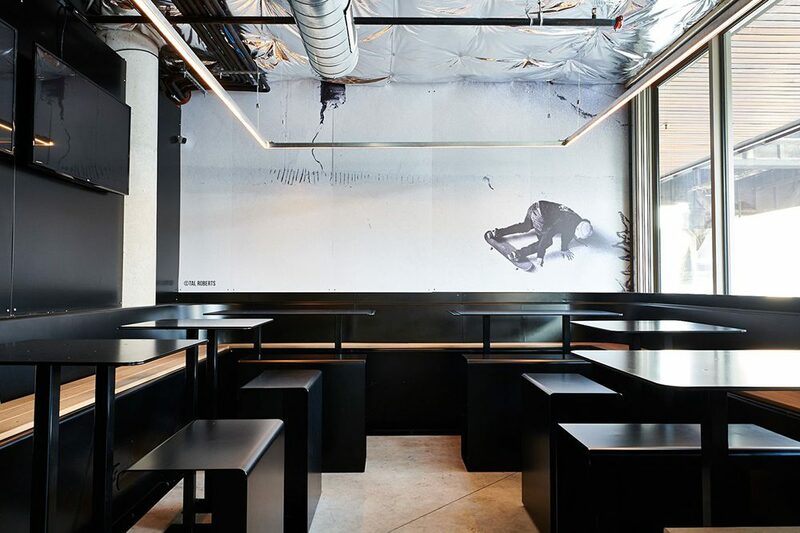 Jurj goes on the record about the design direction of the latest Tilt in a new article published by Eater. I wanted to come into the neighborhood and have an environment that’s a part of the community already here. We didn’t want it to be kitschy, but we wanted it to pay homage to the park. Check out some additional photos of the space below. And if you find yourself in Portland and want to check out the Burnside Tilt, it’s located at 22 NE 2nd Ave, Suite 100.